This Quiz by lebowski - Taken 94554 Times. Aaaah! Very, very aaaah! 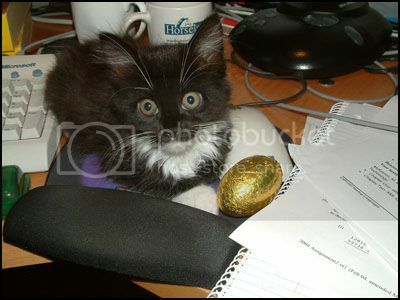 Mind you I am not sure if the cat has eaten the bird or laid the egg. **grins** and I liked your kitty, too. Imagine... jealous of the mouse. Looks closely at own kitty - Duh! I thought it was sleeping not knocking seven bells out of the PC accessories.